On October 1, 2018, voters in the Province of Québec gave the Coalition Avenir du Québec (CAQ) a resounding victory. The CAQ won a majority government with 74 of 125 seats making inroads in surprising places. Long time Liberal Party (PLQ) strongholds like Gatineau and suburban Montreal fell as the CAQ became the majority party of Francophone voters. With 37.5 percent of the popular vote, the CAQ also made gains from the Parti Québecois (PQ), which was unable to prevent hemorrhaging its support on the centre and right to the CAQ and on the left with the upstart leftist party Québec Solidaire (QS). With the independence referendum off the table, the PQ became just another party with some novel ideas but lacking a new and dynamic vision. The QS was a second surprise on October 1 as it won as many seats as the PQ including several outside of Montreal where the PQ and CAQ were present on the ground. What was not a surprise was the resounding defeat of the PLQ who, after 15 years of almost uninterrupted power, looked tired and fresh out of ideas. The voter turnout was lower than usual indicating that traditional PLQ supporters may have stayed at home. While the youth were attracted to the socialist and pro-environmental policies of QS, many Francophone and PQ supporters voted strategically for the CAQ, to ensure the departure of the Couillard Liberals. The CAQ is a relatively recent political party founded in 2011 by its present leader, François Legault. After having served a number of years with the PQ on government and opposition benches, Legault was said to have had a change of heart with respect to his life-long dream of an independent Québec. Inspired by Lucien Bouchard’s 2005 critique of the Quebec’s ‘tiresome’ sovereignty-federalism debate, which ultimately ended Bouchard’s stint in the PQ, Legault gradually increased his party’s score from 2012 to the victorious October 1, 2018. He moved the CAQ to renounce any referendum on independence and to accept Quebec as part of Canada in 2016. It is rare indeed in politics that a founder of a party can become its leader in government. Legault, un petit gars de Sainte-Anne de Bellevuein Montreal’s West Island, achieved just that. His hero as he often says is René Lévesque. Lévesque was both a nationalist and anindépendentiste. Indeed, it was observed that Legault’s support of Québec independence in his days as a PQ activist and Minister was strong and unequivocal. Legault is also a successful Quebec businessman. He is a graduate of Montréal’s HEC in business and has a strong background in accounting. Contrary to PLQ business leaders like Jean Charest or Philippe Couillard, Legault is in some sense a self-made man and he owes little to any of the traditional Quebec business establishment. He is the founder of Air Transat and sits on many corporate boards. What can we expect from a CAQ Legault led government? First, we have already seen how quickly Legault has revived the debate over secularism and the hijab ban for those in positions of authority including teachers. Some grandfathering nuances may be added but the CAQ is moving ahead with the ban. More measures catering to Québec nationalism will be brought to the fore. We can expect a strengthening of emphasis on the French language, educational measures and immigration to be closely linked to a Québec Firster consciousness. As for federal-provincial relations, do not expect the same level of cooperation that held firm during the reign of the PLQ. Although Legault says he is ready to keep Quebec in Canada, one does not perceive any ardent desire to defend federalism as such. Given the significant stress on the Canadian federation (Kinder Morgan caper, USMCA deal negatively affecting Quebec agriculture, the carbon tax rebellion, the chequerboard of irksome provincial regulations over the sale of pot), Legault cannot be counted on to curry the favor of the federal Liberals. As for Andrew Sheer, although the Conservative Party (PC) may be counting on a right of centre vote next fall, that would be a big gamble. The CAQ represents the average Quebec voter who is not traditionally a conservative at least in the sense that Anglo-Canadians define it. In conclusion, it would be wrong to simply attribute the CAQ victory to voter fatigue with the provincial Liberals. The consolidation of the Quebec French vote is never good news for Ottawa and supporters of Canadian unity. We now have a fervent Quebec nationalist and former PQ activist and Minister at the helm whose hero is René Lévesque. He intends on building a strong Quebec economy with or without Ottawa’s help. Legault is a hundred times more dangerous to Canadian unity than the PQ’s Jean-François Lisée would have been. Some observers would question the underlying direction toward independence at the CAQ. Before rejecting this interpretation of what happened on October 1st, one would do well to remember that many of those who voted CAQ have also voted either Bloc Québécois, PQ or voted ‘yes’ to independence in either of the two referenda on independence in 1980 and 1995. My educated guess is that all 37.5 %, at one time or another, voted for a party dedicated to moving Quebec out of the Canadian union. This demonstrates a tendency, not a current reality, but one that should be part of our political equation in Quebec for the next four years. Add to this a chunk of 33% of the October 1 vote garnered by the two pro-sovereignty parities (QS + PQ). One would be loath to conclude that independence is dead because the CAQ’s leader François Legault says it is for now. My guess is that we should prepare for a centrist nationalist government dedicated to economic development. 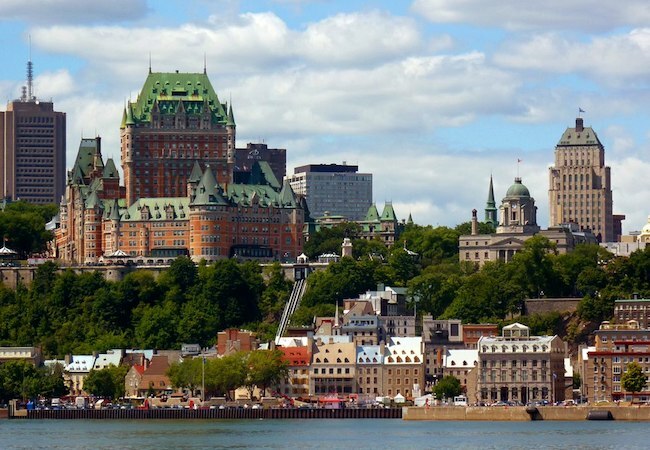 In the meantime, if the rest of Canada (ROC) continues to splinter along the economic and environmental divide, the winning conditions for a Québec referendum on independence will have been facilitated, if not obtained. Despite the predictions of our shrewdest political pundits, the October 1stelection in Québec might have been about independence after all. Back to the future.